IT was expected that the Curtis Coast Trail Riders would have more than 100 riders for their event at Turkey Beach at the weekend, but there were no indicators that half of the competitors would be first-time members. The penultimate ride for the club in 2013 attracted a large turn-out with riders coming from as far away as Brisbane in the south and Mackay in the north. Even with some regular riders missing, the field crept up to 115 competitors. "It was a good mix. One guy actually came down and did one lap," club secretary Allison Perry said. The club will host one more ride before breaking over the summer. "We will be doing a Christmas party ride. We are deciding between Benaraby and Lowmead," Perry said. While the venue is yet to be confirmed, the final ride is likely to be held on December 7 with all members and anyone looking to join the club invited to attend. During the summer break the club is planning to develop an area of land available in Benaraby for future rides. 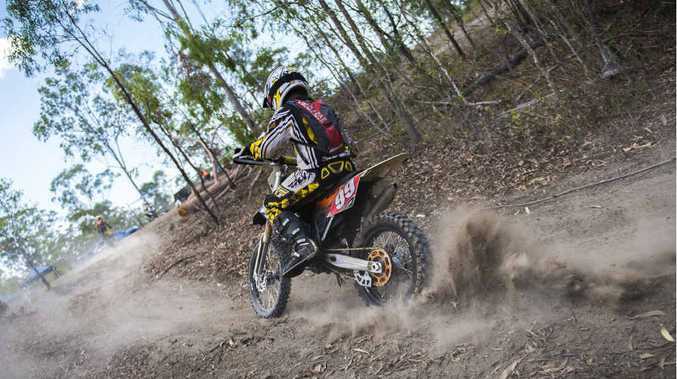 It is hoped that the venue will attract more riders from the Gladstone area. "We are in the process of working out the Benaraby block. We just need people to help organise it," Perry said. "If people are keen to have that then they can contact us to lend a hand to volunteer." The new calendar will be available on the club's website in the near future.